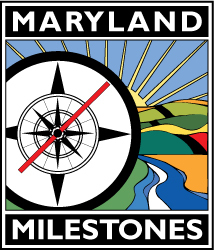 MARYLAND MILESTONES – Anacostia Trails Heritage Area Inc.
Maryland Milestones, located in Northern Prince George's County, is a chance to explore the unexpected. Explore via a Heritage Route that will connect the historical links and places. Our Heritage Center is the perfect place to start your exploration. Self service hours for brochures and our exhibit are Tu - Fr: 10a - 9p; Sa: 10a - 6p; Su: 12p - 5p. The best way to see the Heritage Area is by bike or foot. The network of Anacostia Tributary Trails (maintained by Prince George's Parks and Recreation) bring you up close to history, art, and nature.